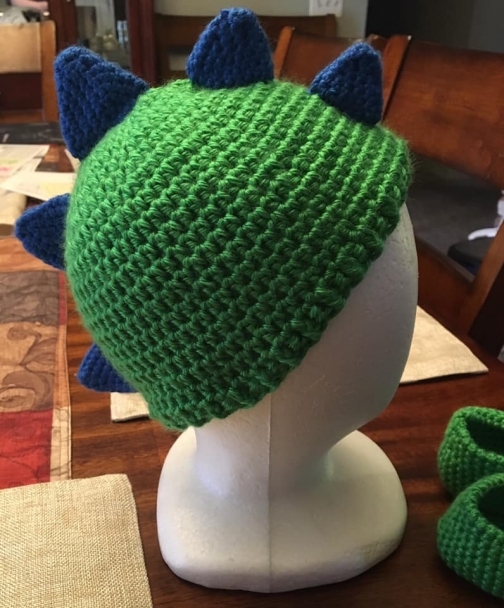 Crochet Dinosaur Hat and Booties made with Caron Simply Soft Arylic Yarn. 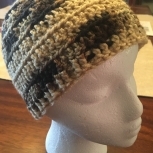 Hat was made with soft acrylic yarn and can be made in a variety of sizes. 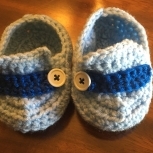 Hat has 5 blue dermal plates or spines on top of the hat and booties have 4 blue yarn "toes" in front. 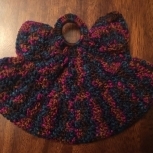 Hat and booties can be used as a Halloween costume or for your child to wear on those cold winter days. Made in a non-smoking environment. Care instructions: Hand or spot wash and hang to dry. If using a washing machine, gentle cycle and hang to dry. 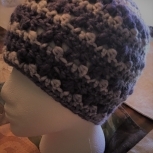 *This hat and booties are a custom order, so any size, style, or color scheme can be made. Please be specific in the comments section what size, color or colors, style, etc. you would like to purchase. 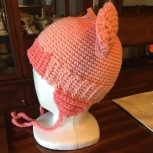 Please be aware that shipping of the item will take longer due to the creating and making of the hat and booties. Approx turn-around time for the hat and booties is around 1-2 months. If requesting expedited shipping, please be aware that pricing of hat may change. 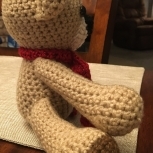 Please message me or contact me per e-mail regarding pricing or when you have any further questions*.